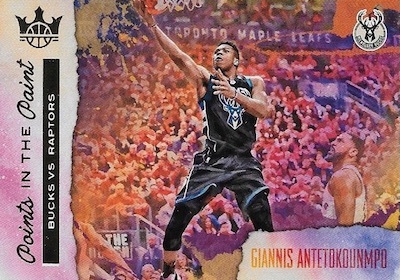 Bringing vibrant designs, 2017-18 Panini Court Kings Basketball continues to stand out with the brand's unique style. 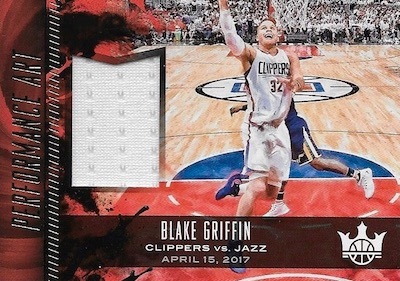 Every hobby box delivers one autograph and one memorabilia card, plus a jumbo topper. 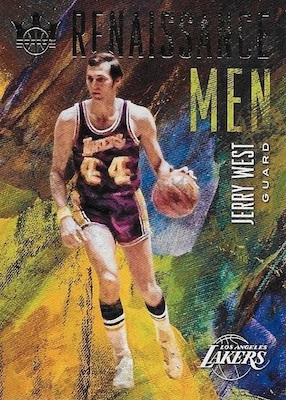 Although the box format remains the same as last year, 2017-18 Court Kings NBA offers new inserts to chase. There are also random hot boxes that add extra hits. 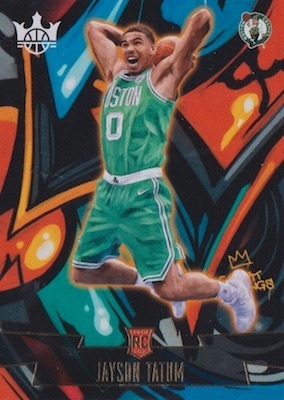 As with previous releases, the 2017-18 Panini Court Kings checklist maintains a large base set as it includes tiers of rookie cards, starting with Rookies I and going up to Rookies IV. 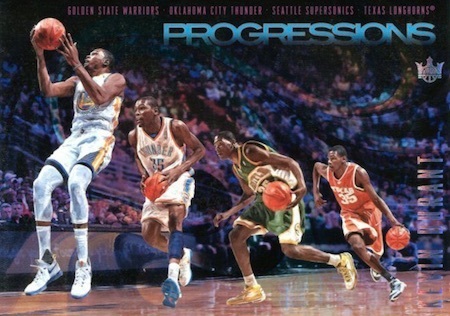 Every rookie player has a total of four cards, each with a different rarity. Displaying swirls of color, Aurora returns as a short-print insert that averages one per case. Additionally, the Blank Slate, Dieci Migliore, Emerging Artists, and Points in the Paint sets make their Court Kings debut. 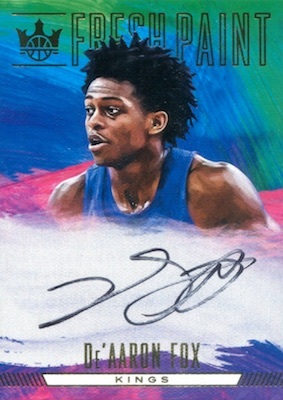 Averaging one signed edition per hobby box, 2017-18 Panini Court Kings Basketball autographs include the hard-signed Fresh Paint cards, while Fresh Paint Duals combines two rookie autographs. 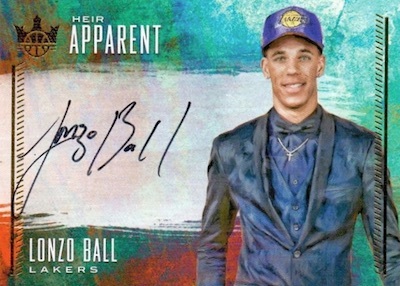 Heir Apparent is another on-card autograph option featuring first-year stars. Going big with memorabilia pieces, the Art Nouveau insert features oversized swatches and includes an Art Nouveau Jumbo Nameplate SP version. 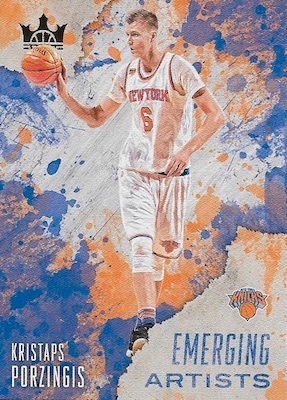 Finally, every hobby box contains a 5x7-inch Box Topper. 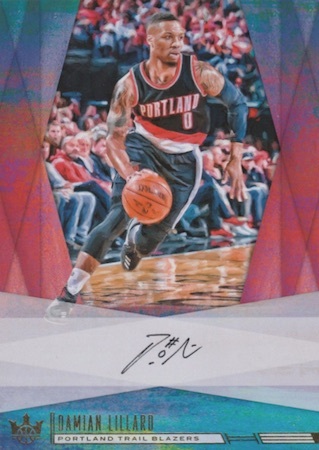 For some collectors, that could mean a Box Topper Autograph that is hard-signed by renowned athletes such as Damian Lillard, Karl-Anthony Towns, Kevin Durant, Kobe Bryant, or Kyrie Irving. 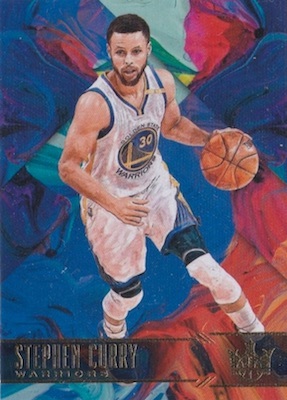 PARALLEL CARDS: Sapphire #/25, Masterpiece 1/1. 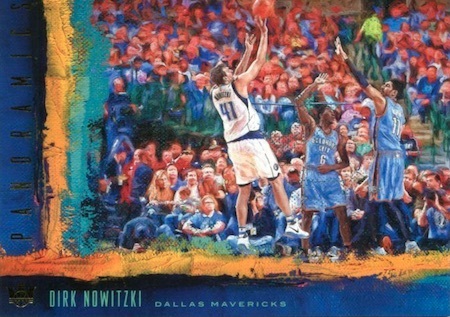 JUMBO PARALLELS: Jumbo #/99, Jumbo Sapphire #/10, Jumbo Masterpiece 1/1. 45 cards. Serial numbered #/299. 5 card. Serial numbered #/75. 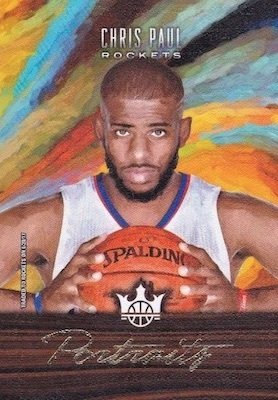 PARALLEL CARDS: Prime #/25 (Lillard - #/12, Bradley, Afflalo - #/16, Thompson - #/15*), Masterpiece 1/1. 100 cards. Serial numbered #/175. 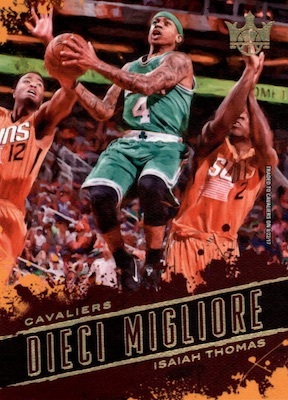 PARALLEL CARDS: Ruby #/65, Sapphire #/25, Emerald #/10, Masterpiece 1/1. 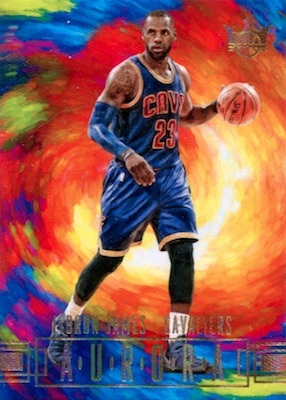 PARALLEL CARDS: Prime #/10, Masterpiece 1/1. 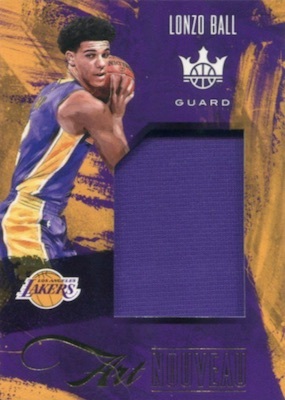 Been watching case breaks on Twitch, huge losses per box. Not even close to breaking even. 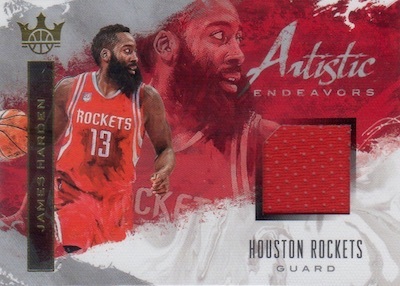 How you can give this a 1 star is beyond me, these cards are fire,,,, great designs, great hit list, Court Kings does it again! 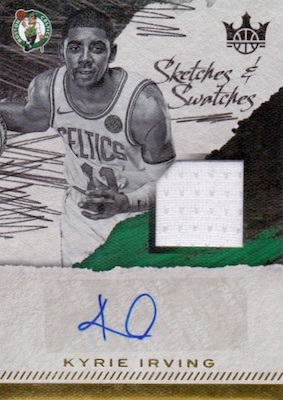 box promises 1 auto, no auto was included.